As men, we put copious amounts of time into ensuring our shirts bear no wrinkles, our pants are pressed, and our hair is coiffed or combed to the nines. These are areas that are inexcusable to overlook, as they’re some of the most important facets of style. However, we men all too often neglect one of the most eye-catching areas of our wardrobe: our shoes. 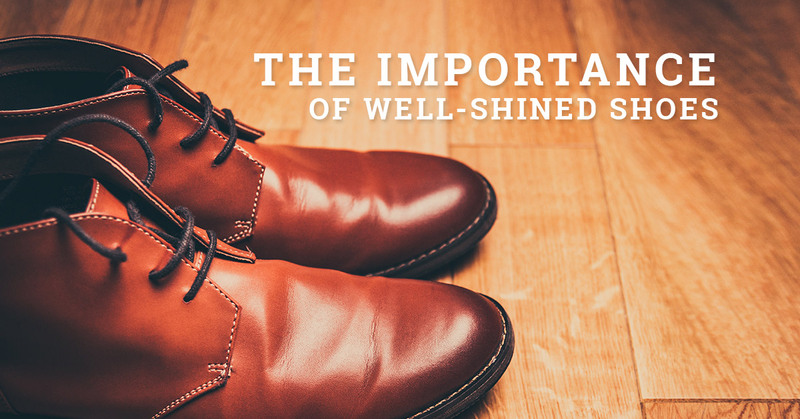 The cleanliness, look, and style of your shoes say a lot about you. Namely, your attention to detail. Consider this: if each portion of your unique wardrobe is immaculate, but your shoes look like you just took part in a game of kickball just minutes before that date (or job interview or meeting), they’re going to distract from the time, dedication, and — most importantly — your final flair. Don’t let your shoes being the undoing of your wardrobe. Let Final Touch Products’ shoe polish, wax, and liquid do the dirty work for you and give your shoes the shine that gives them the attention they deserve. Let’s get this out of the way: modern dating is weird. Did you meet online? Have you two been making awkward eye contact at work for weeks? Are you being set up by a mutual friend? However you “met” your date, one thing is clear: first impressions are no less important than they were prior to the reign of dating apps and ghosting, so treat them as such. Both men and women can be detail-oriented (we’re humans, after all), but women often pay close attention to how we carry ourselves, how we dress, and the cleanliness of our wardrobe, and the look of our shoes. If you’ve spent quite a while making sure your shirt is well pressed, your hair is just so, but you neglected your shoes, you’re potentially throwing off your entire look. Don’t inadvertently give off the slacker vibe if you’re going for well-put-together-young-professional. Shine your shoes. Get the girl. Details matter. Whether you’re prepping for a big date or you’ve got the big interview coming up, you can expect to be viewed under scrutiny; from your hair to your shoes, expect the other to notice. However, this shouldn’t unnerve you. Quite the opposite, really; this gives you an opportunity to show off your style and impress your potential employer. Once you’ve mentally prepared, done all of the prep work, the final stage is selecting your wardrobe for a solid, lasting first impression. Before you tie your tie and head out the door, take a few moments to give your shoes a confident shine with our Touch N’ Go shoe polish. If your pants are pressed well enough to show off, but your shoes don’t appear scuffed, dull, or just plain dirty, expect them to distract rather than attract. Ensure they don’t do the latter. If you want other to see, feel, and be impressed by your true confidence, ensure that your wardrobe doesn’t distract. Shoes may often be overlooked by men, but that doesn’t mean they’re overlooked by those with whom we interact. Treat your shoes and yourself with care. Let Final Touch Products’ shoe shining wax and liquid help you get there.